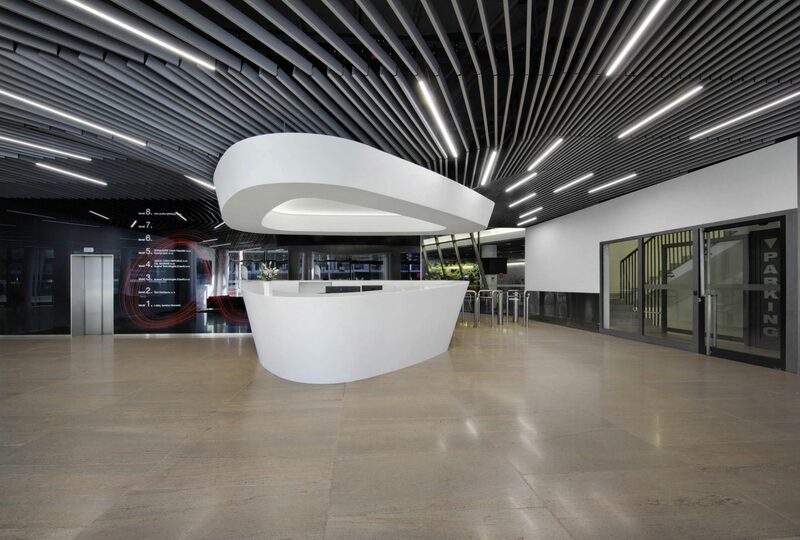 Redesign of entrance areas of the Alpha building, part of the administrative complex of the Prague BB Center. 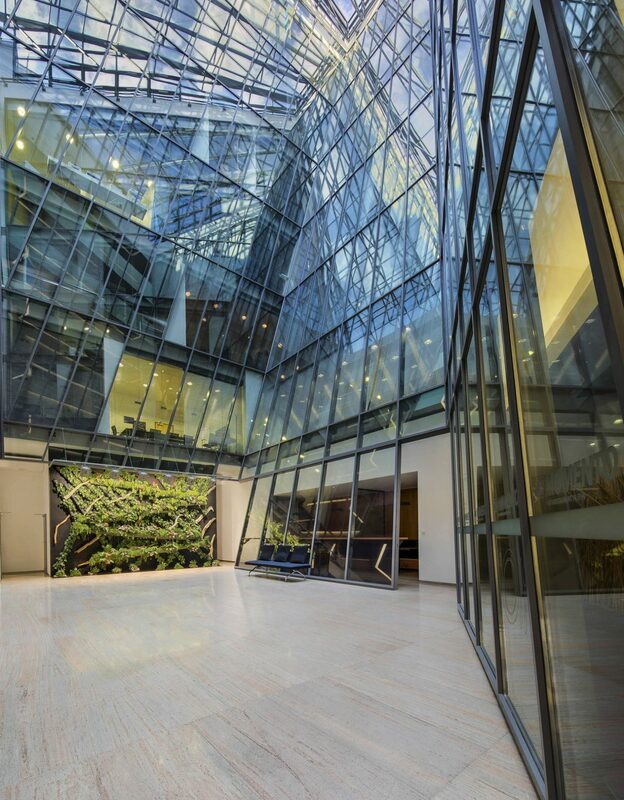 The theme is to define the new quality of lobby space and atrium adjustment. Through the reception object, the center of gravity moves to the middle of the area. 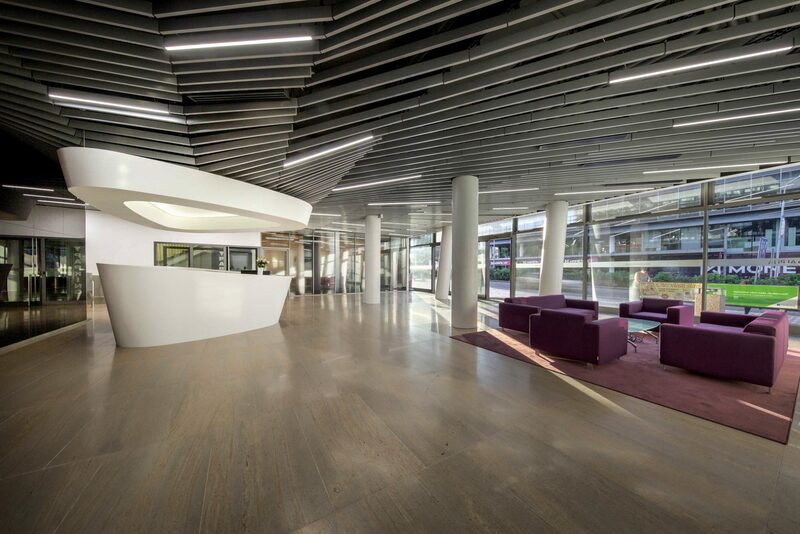 The dynamic form of “vortex” in the middle of the lobby is rewritten into the shape of the reception desk and rises up the lamellar ceiling.